GLOUCESTER — Chief Eric Smith reports that Gloucester firefighters rescued a deer that fell through the ice at Fernwood Lake this morning. On Thursday, March 14 at 8:14 a.m. firefighters were called to Fernwood Lake for a report of a deer that had fallen through the ice. Upon arrival, firefighters discovered a deer struggling in water, dozens of feet away from shore. Multiple crews from the Gloucester Fire Department collaborated on the rescue, including West Gloucester’s Engine 2 Crew of Firefighter Darrel Dench and Lt. Doug MacArther, and the Gloucester Fire Department Headquarters Ladder 1 crew of Acting Lieutenant Randy Silva and Firefighters Bob Grover, Andrew Pierce, and Jak Letien. No one was injured and the deer was able to return to its natural habitat Thursday. 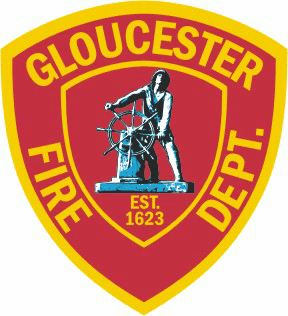 In light of this incident, the Gloucester Fire Department wishes to remind residents that it is not safe to step or walk on the ice. In the event a person or animal falls through the ice residents should always call the Gloucester Fire Department for help. If someone does fall through the ice, and you cannot reach them from the shore, throw something like a rope, jumper cables, or tree branch to try and pull that person out. If the situation is too dangerous, however, residents should never put themselves in danger and instead wait for help to arrive or go find help. “Thankfully, our firefighters were able to utilize extensive training and equipment to rescue this deer, and no one was injured in the process,” Chief Smith said. “The ice is not safe to walk across or step on, especially as temperatures begin to fluctuate as we head into spring. Residents shouldn’t be on the ice, and should never attempt such a rescue themselves. The Massachusetts Division of Fisheries and Wildlife offers several ice safety tips, and also warns that there is never a guarantee that ice is safe to walk on and won’t crack or buckle. Don’t remove winter clothing; air trapped in your clothing may provide warmth and help keep you afloat. Turn the direction you came from–the ice you previously walked on will likely be the safest. Place your hands and arms on an unbroken surface of the ice and kick your legs. Once your torso is on solid ice, roll toward thicker ice to distribute your weight. Once you are out of the water and off the ice, find shelter and warm your body. Change out of wet clothing and find warm, dry clothing. Get to a car or house. If you’re in a remote location, start a campfire. Shout to the victim to let them know help is on the way. If you can reach them from the shore safely, extend an object such as a rope, tree branch, or ladder that they can grab hold of. Toss one end of a rope or a similar object that will float to the victim. If you cannot safely help, call 911 or go find help. If a pet falls through the ice, call 911 for help or go find help. It is too dangerous to attempt to save a pet yourself. Always keep a pet leashed while walking on ice or near ice. Gloucester Emergency Alerts, powered by Smart911, is the official emergency notification system used by the city to communicate with residents and business owners during a range of emergencies. Smart911 is a free service that allows residents to sign up online to create a profile that will provide vital information to 911 call takers during an emergency — allowing first responders to make faster and more informed responses. People who live and work in Gloucester can add relevant information to their profile, including the number of people and pets living in a household or working at a business, what those people and pets look like, relevant medical conditions and allergies, and emergency contacts. The system also allows participants to receive emergency notifications in real time. Emergency alerts are used to notify residents of a variety of situations, including power outages, evacuations, lock down situations, water advisories and road closures. Gloucester Emergency Alerts also issues advisories to residents for amber alerts, missing person alerts, snow, flooding, traffic, weather warnings and beach alerts. Residents can sign up to receive mobile alerts and create a safety profile for their household by clicking here. GLOUCESTER — Chief Eric Smith is pleased to announce that Firefighter Sean Ellis graduated from the Massachusetts Firefighting Academy (MFA) Friday. On Friday, March 8, Firefighter Ellis was among the 36 firefighters representing 23 fire departments to graduate from the MFA’s Career Recruit Firefighter Training Class 271. Graduates were recognized at a ceremony at the Department of Fire Services headquarters in Stow Friday. The 10-week program teaches the essentials of fire and non-fire conditions, life safety, search and rescue, ladder operations, water supply, pump operation and fire attack. Firefighter Ellis, age 26, a lifelong Gloucester resident, was hired by the Gloucester Fire Department in February 2018. A Navy veteran, he served on the USS McFaul DDG 74 in Norfolk, Virginia for four years as a damage controlman, third class. He is a certified paramedic, and holds an associate’s degree in fire science from North Shore Community College. The other 35 graduates represented the fire departments of Andover, Attleboro, Bourne, Franklin, Haverhill, Hyannis, Littleton, Malden, Marlborough, Medford, Medway, Raynham, Revere, Salem, Sandwich, Stoughton, Sturbridge, Wakefield, Waltham, Wayland, West Bridgewater and Yarmouth. At the Massachusetts Firefighting Academy, firefighter recruits learn a wide range of skills in an intensive 10-week program. Certified and more experienced firefighters lead classroom instruction, physical fitness training, firefighter skills training and firefighting practice. Students are given training in public fire education, hazardous material incident mitigation, flammable liquids, stress management, confined space rescue techniques and rappelling. Upon successful completion of the Recruit Program, all students have met national standards of National Fire Protection Association 1001. MANCHESTER-BY-THE-SEA — Town Administrator Gregory T. Federspiel announced that Manchester-by-the-Sea Police Chief Edward Conley has accepted the same role in nearby Gloucester and will be departing the town this spring. Chief Conley arrived in Manchester in 2016 after 22 years with the Chelsea Police Department. During his tenure here, he oversaw the police department’s achievement of full state accreditation through the Massachusetts Police Accreditation Commission. Chief Conley is expected to begin his new role in Gloucester in early April.